Today, the welcome app in the languages is Russian and Farsi/Persian available, of course including all the contents which are by the way currently massively revised and expanded. 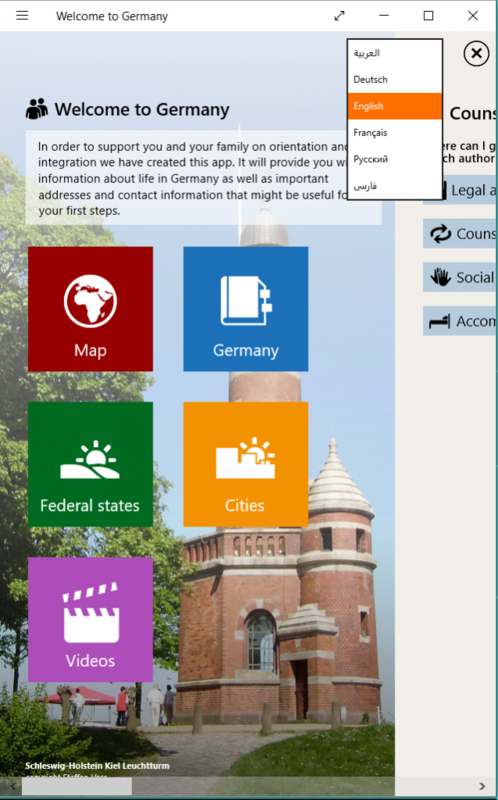 The two newly added languages are available only in the Windows versions of the welcome app (Windows phone and Windows from 8.1), Android and iOS will follow but promptly. We would like to thank at this point with all authorities, organizations, volunteers, and especially users of the app, based on their feedback we have promoted the rapid implementation of the two additional languages.